How do I run a stochastic simulation using Tellurium/libRoadRunner? We can do one other thing and compute the average trajectory and overlay the plot with the average line. The one thing we have to watch out for is that we must set the integrator property variable_step_size = False to false. This will ensure that time points are equally spaced and that all trajectories end at the same point in time. The order of the speces Ids match the order of steady state values. In other words, S1 = 2.857, S2 = 13.333, and S3 = 1.538. If you look carefully all the rates of change are effectively zero, thus confirming we’re at steady state. What about the stability of the steady state? That is, is it stable to small perturbations in S1, S2 or S3? To find this out we need to compute the eigenvalues of the system Jacobian matrix. If all the eigenvalues are negative this means small pertubrations are damped so that the system returns to the steady state. There are two ways to do this, we can use the getReducedEigenValues call, or we get compute the Jacobian first and then compute the eigenvalues of the Jacobian. Both these approaches are given below. Its probably simplest to call just getReducedEigenValues. Notice that all the eigenvalues are negative indicating that small perturbations are stable. Note that we’re using a utility method from the tellurium library, getEigenValues to compute the eigenvalues. I thought I’d try and write a series of HowTos on Tellurium, our python based tool for the construction, simulation and analysis of biochemical models. Details on this tool can be found here. One the unique features of Tellurium is that it comes with the AUTO2000 package. This is a well established software library for performing a bifurcation analysis. Unlike other implementations (not includng oscill8), AUTO2000 in Telluirum does not require a separate compiler to compile the model for AUTO2000 to compute the differential equations. This makes it easier to delpoy and users don’t have to worry about such details. AUTO2000 uses libRoadRunner to access and compute the model. We’ve imported three packages, tellurium to load the model, rrplugins to access AUTO2000 and pylab to gain acess to matplotlib. Once we have the model loaded we can get a handle on AUTO2000 by calling rrplugins.Plugin(“tel_auto2000”) and set a number of properties in AUTO2000. This includes loading the model into AUTO200, identifying the parameter we wish to modify for the bifurcation diagram (in this case signal), following by some options to carry out a pre simulation to help with the initial location of the steady state and finally the limits for x axis for the plot, in this case -2 to 3. Details of other propoerties to change can be found by typing auto.viewManual(), make sure you have a pdf reader available. The alternative is to go to the intro page. The pts vector contains the point coordinates where the bifurcation points are located. lbls give the labels that correspond to the pts vector and indicate what type of bifurcation point it represented. Finally a special object, here called biData contains the data together with a number of useful utilties. The import important of these is biData.plotBifurcationDiagram(pts, lbls) which takes pts and lbls as arguments. Running this code will generate the bifurcation plot shown below . We can also print out a text summary of the computation using the command, auto.BifurcationSummary, which returns a summary of tjhe fidnnngs. What is interesting about this model is that the upper branch reaches the zero parameter value before the turning point. This means it is difficult to switch to the lower steady state by just lowering the signal. at the ipython console. To view the network make sure the network viewer panel is visible, do this by going to the View menu, find panes and select, then look down the menu items and near the bottom you’ll find Network Viewer, select this option. To view the network, type the following at trhe ipython console. Note that every view will be different and depends on the layout algorithm. I needed some figures that displayed a variety of different negative feedback loops so I created these using Tikz. Nothing particularly special. There are some absolute distances in the code which perhaps could be removed to make it more generic. % The symbol -| means draw horizontal then vertical. % diagonally to the reaction edge. I’ve been looking for a textbook on statistics for a class I’ll teach in the autumn term. While the content of many textbooks might be ok the way the information is presented makes them difficult to read – at least it does for me. This applies to most undergraduate textbooks published today whether they be about statistics or other topics. There seems to be a need by publishers to embellish textbooks with so much stylistic sugar that the content is buried. I scanned two typical pages from a second-hand stats textbook I bought from Goodwill to illustrate what I mean. 3. Call-out in exercises using a script font with blue background. 4. Chapter Objective in black font, red bullet point in off yellow background with vertical dotted line. And this is before a student has even started to read the content I counted at least 15 different fonts used in the text. The inputs are designated bar S and bar R (bar meaning not). The outputs are Q and bar Q. Let us assume bar S is set to digital input zero and bar R to one. If you follow the logic through the two NAND gates you’ll realise that this means that Q will have a value of zero and bar Q one. This is the reset state and relative to Q, the circut stores a value of zero. If we now set bar S to one and bar R to zero, the circuit will flip to a new state where Q is now at one and bar Q at zero. Relative to Q the circuit stores a value of one. The point of the circuit is that even if bar S (or bar R) now goes back to zero the circuit remains in its last state. The only way to change the circuit is to apply a one to the reset or set input lines. The two states that the circuit exhibits are stable. Again you can find these cheaply on ebay for about 7 dollars for 10 boards. The image below shows a single NAND gate made using the circuit above. The following video shows the circuit in operation. For those who might be interested in taking this idea to the extreme, I suggest you check out the megaprocessor. Its been a while since I wrote something for this blog, mainly due to pressures of work. However its summer now and I’ve managed to carve out some time to do other work related projects. One thing I’ve done in one of my undergraduate classes is host an honors projects which students can opt into. Part of this is to prove to me they can soldering electronic components onto a PCB board. Every engineer should be able to build electronic gadgets from scratch and solder is an essential skill to have. Those too young to know what a Z80 is, its one of the early microprocessors that came out in the 1970s, 1976 to be specific. It was basically an enhanced version of the 8080 a very early and popular Intel microprocessor. What was key about the Z80 was that is was quite easy to construct a basic computer using the Z80 chip. The chip required very few support chips, for example the clock was a simple single-phase clock (easily made from two NAND or NOT gates) and it only required a single 5v power supply. These and other features made the Z80 a very popular microprocessor at that time. Many famous and not so famous pre-IBM PC computers were build using the Z80, including the TRS-80, Nascom 1 and 2 (I had the Nascom 2), the famous Sinclair ZX80, ZX80 and ZX Spectrum, Amstrad CPC, Jupiter Ace, and many others. You can still purchase the chip new for only a few dollars. My problem is I don’t have the time to design a new system for myself so instead, I hunted out any available kits. I found one and a nice one at that called the CPUville Z80 computer kit. This kit was developed and is sold by Donn Stewart. He has various addons to the base CPU board such as a serial interface and disk and memory expansion. What is also nice is that he adds the facility to single clock the microprocessor at very low speeds so that one can observe the operation of the computer in detail. Given my birthday is in July I decide to order one of his kits for myself. His kits are very modestly priced, the basic CPU board (I fully working Z80 computer) only costs $42 dollars. The kit comes fully complete except for the 5v power supply, but Donn can also supply this. The computer has 2K of RAM and a preprogrammed 2K ROM with various test routines included. Data is entered through a bank of 16 switches and output is via a set of 16 LEDs. To program this computer you’ll need to know binary and hex, and no you can’t browse the net using this computer. Having obtained the kit, I assembled the various components. The kits comes with an excellent assembly and operation manual. The kits itself only supplies a few chip sockets for the CPU, RAM and ROM. I tend to be more cautious so I purchased a bunch of 20, 8 and 7 pin chip sockets. It probably took me about 6 hours to build. The board has about 500 soldered connections so you have to take your time and check the quality of your work. I took some pictures of the board during construction and a video to show the computer working. Amazingly it worked first time. Operation involves flipping a switch to halt the CPU, entering an address in ROM where a test program is lcoated and then releasing the CPU to run. The test program I ran was a simple counter than counted from zero to 65536 and output the binary number to the LED lights. If you need some fun with a very basic computer this seems to be the one to get. I needed a quick way to plot some Bode plots for a second order system. I didn’t have access to Matlab, instead I searched for a solution using Python, and I found one. Documentation is a bit sparse so this example might be helpful. The signals packages supports the signal.bode method which turned out to be quite easy to use. Signal is part of the scipy package and is something we bundle with our Tellurium platform. There a more comprehensive discussion of Python and Control Theory here. I got myself a Drobo 5N to serve as a backup of my data and other work. 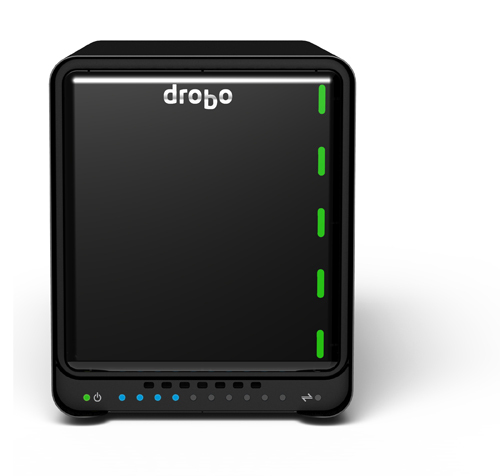 For those who don’t know the Drobo 5N is a 5 bay network attached storage (NAS) device. What is interesting about the Drobo is that any of the drives (and more than one) in one of the 5 bays can be removed without any effect to your stored data. This is because all data is redundantly spread across all drives. Not only that but the drives you can have in the 5 bays can be any size and any make. The problem however is that the Drobo 5N is not truly a network attached storage device because you can only access directly from your computer on your local network, ie your office. So for example if you have a Drobo drive in your office you can’t access your data from home or anywhere else in the world. Most NAS system do allow access, for example by running an ftp server. It is possible to install an ftp server on a Drobo but the installation is buggy and trashes the firmware. So all in all the Drobo 5N is a bit of a disappointment.